The next time you plan to prepare a dessert, try to replace sugar with carob. Carob is a type of tree, whose fruit has the same name. This plant has at wider range at Mediterranean Sea, Israel and Cyprus. It is a coniferous tree from the family of legumes. From carob can be used legumes and seeds. Carob is used as a sweetener and as a substitute for cocoa. 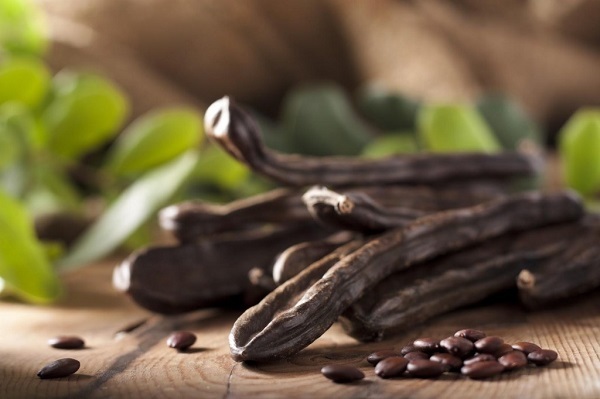 Why should include Carob in food? It is rich in vitamin A, B1, B2, B3, B6, B9, C and E. Due to the rich composition of vitamins helps in proper metabolism, growth and development of tissues and also helps the body better use the energy from foods you eat. From minerals it containing iron, copper, manganese, selenium, zinc, phosphorus, magnesium, calcium, sodium and potassium. Helps maintain a good electrolyte balance in the body, improves digestion and helps to reduce stress and depression. The seeds of the carob is rich in insoluble plant fiber that has positively affect on the digestion and better functioning of the intestines. It contains tryptophan – an essential amino acid and therefore is recommended to use over a period of growth and development in children, and also for vegetarian diet. It contains a high concentration of tannins that are powerful antioxidants, and it helps prevent early aging. Acts against inflammatory and antibacterial, regenerating cells and affect the reduction of triglycerides and LDL cholesterol and increasing HDL cholesterol. 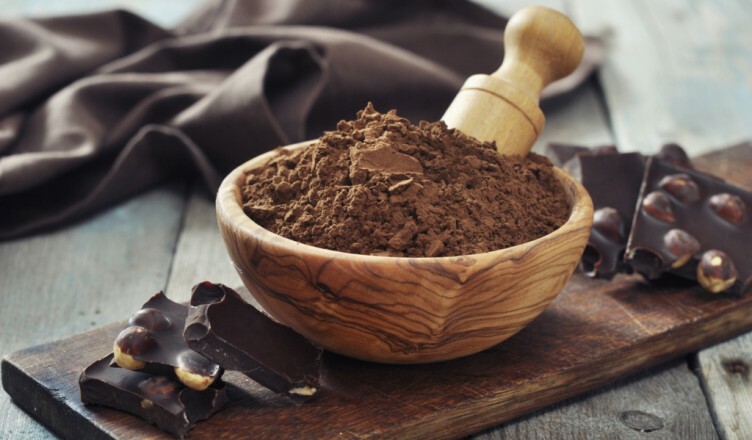 Finely ground beetle (powder) is perfect replacement for cocoa powder and apart from cocoa and has a mild chocolate flavor. Compared with chocolate Carob is three times richer in calcium. It can be used as a sweetener in powder form or as a substitute for flour. Carob is ideal grocery that do not contain gluten and therefore is recommended for people who are allergic to gluten.